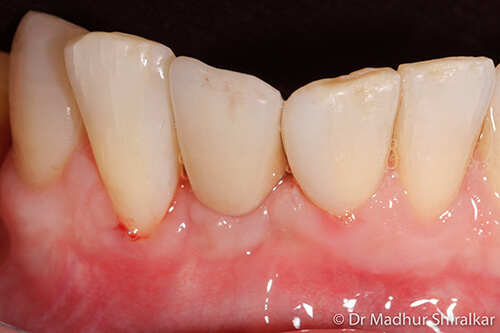 Case 1-This case won an international award at a conference in the U.S.! 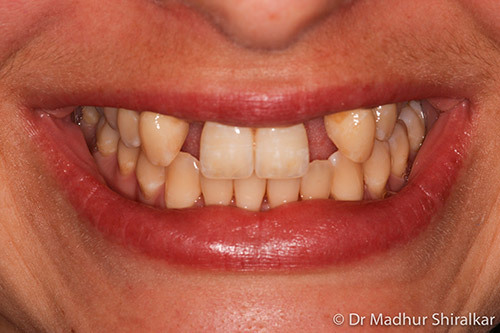 This young professional was missing her two side front teeth. 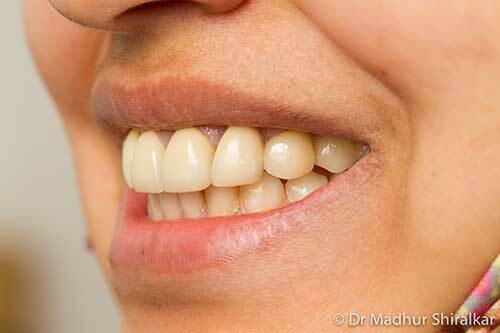 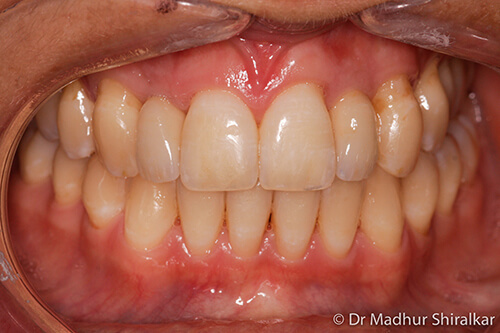 Moreover, very limited space between her teeth made the situation very challenging. 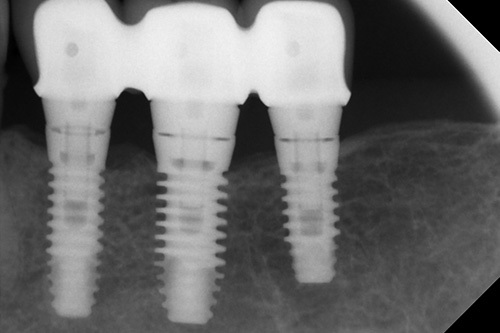 An excellent result was achieved with a combination of bone grafting, precise implant placement and premium implant crowns. 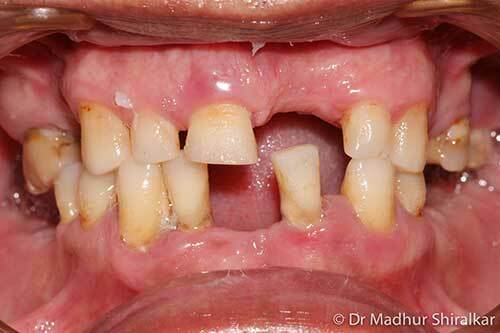 This lady had significantly worn her front teeth and missing back teeth. 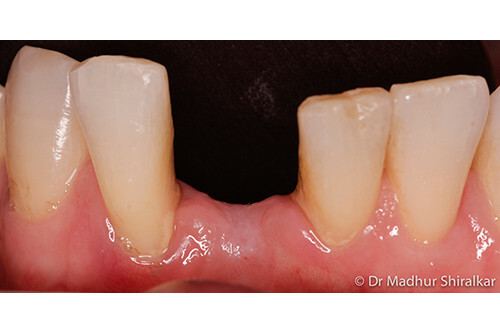 Her complex reconstruction involved sinus grafts, bone grafting, and dental implant bridges on four implants for back teeth. 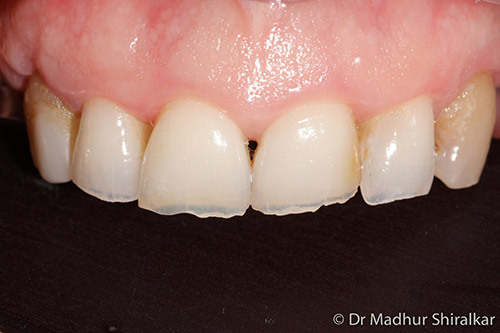 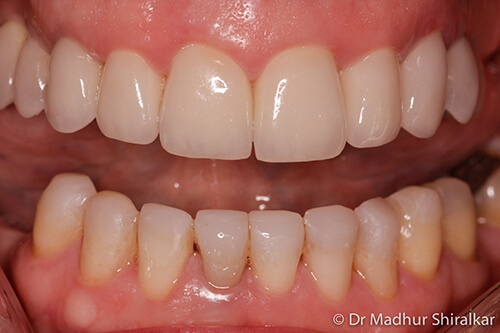 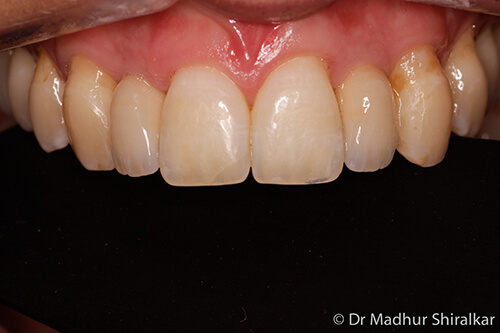 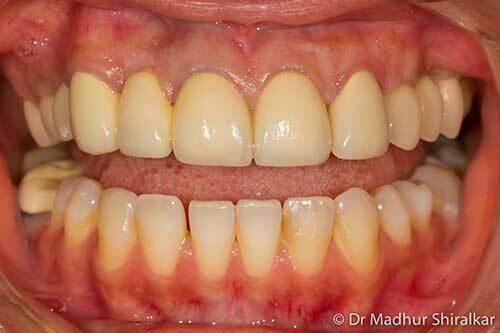 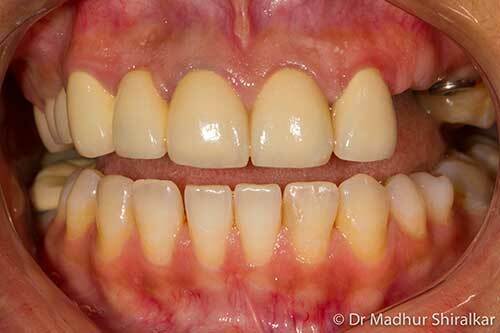 Front teeth were restored with premium porcelain crowns and resin bonding. 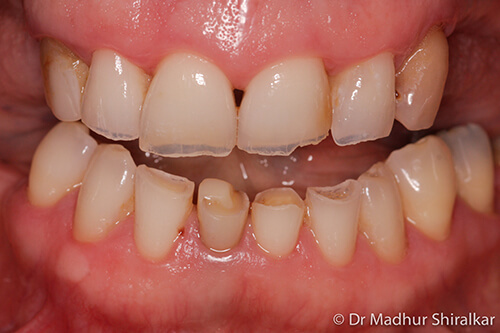 This young mother lost her lower front tooth due to gum disease. 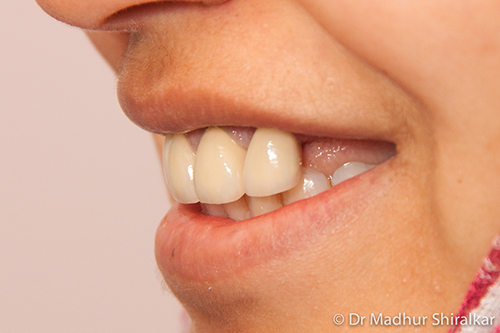 Her situation was quite challenging, as the gap between her front teeth was very limited. 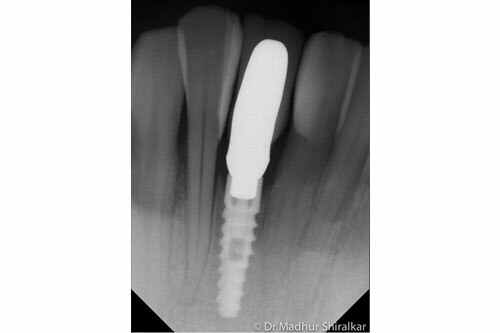 Precise implant placement was done and her smile was restored with premium dental implant crown. 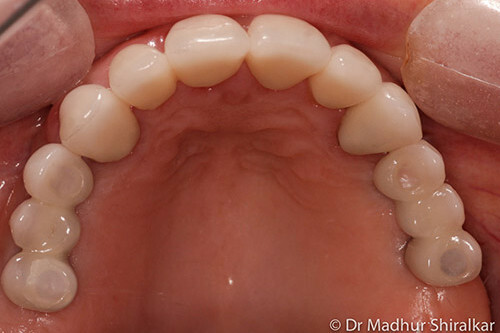 Peter had worn upper denture for many years and was suffering from infected lower teeth. 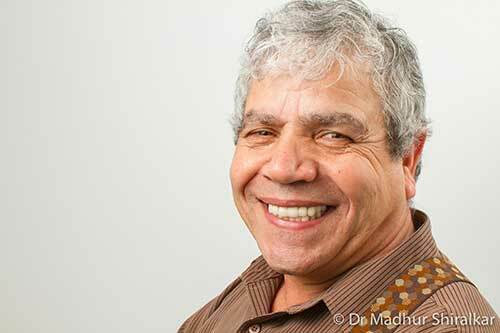 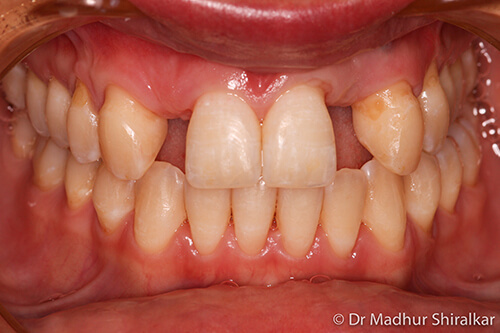 Peter chose to have a lower implant over-denture for function and stability. 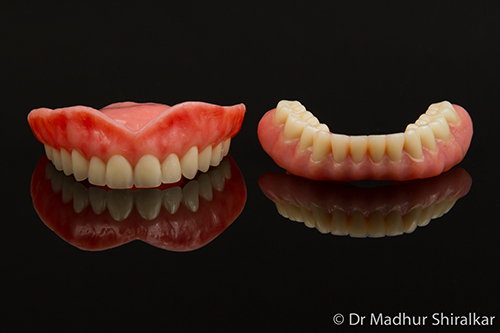 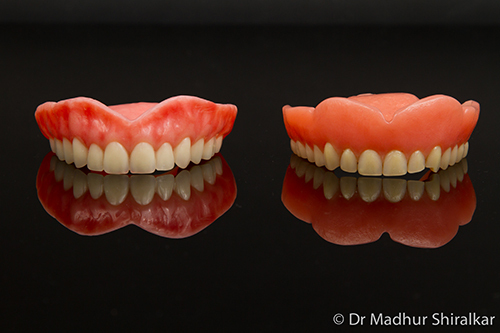 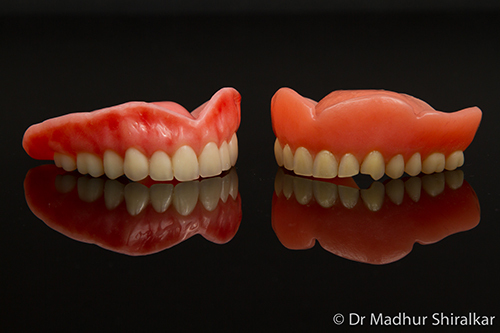 We replaced his existing upper denture with a premium aesthetic denture. 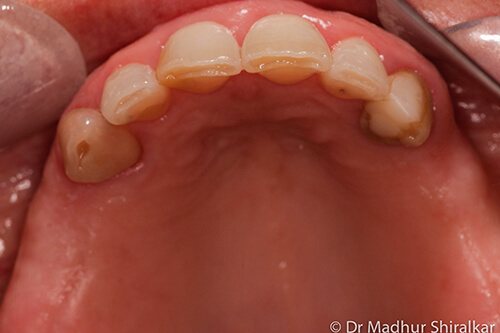 This young mother already had upper front crowns and was conscious about her smile due to missing side teeth. 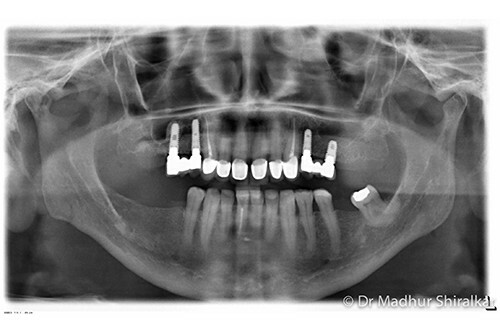 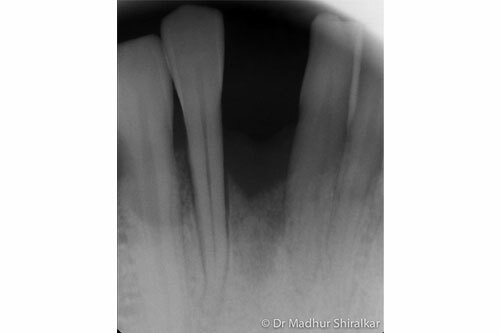 Her situation involved significant bone grafting to restore deficient bone followed by placement of two dental implants. 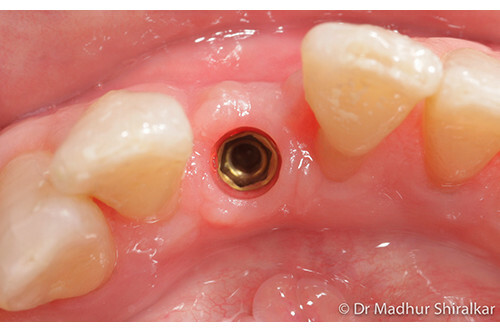 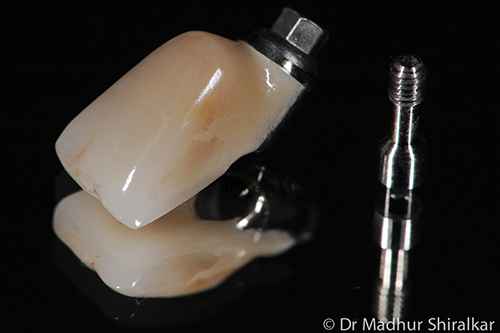 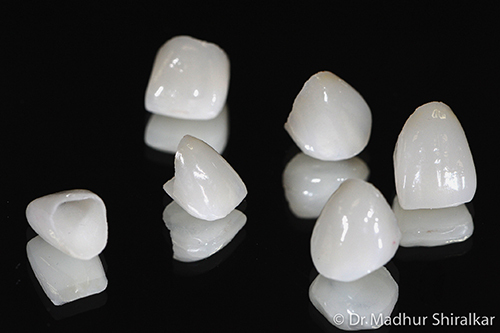 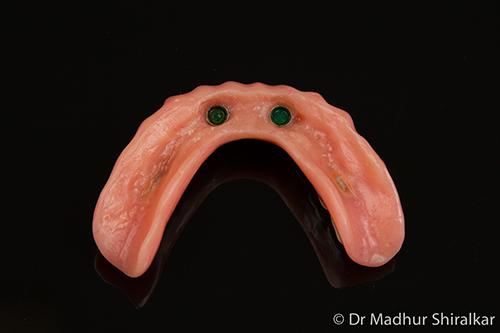 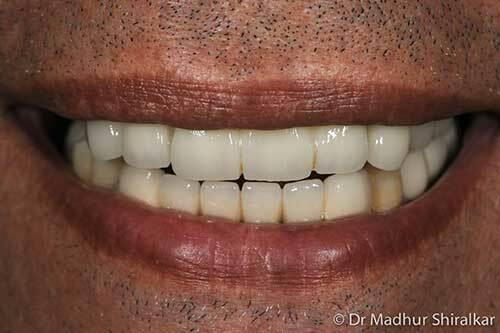 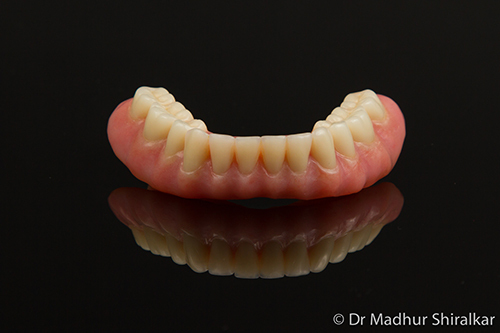 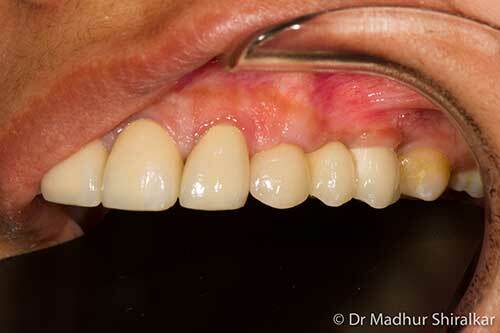 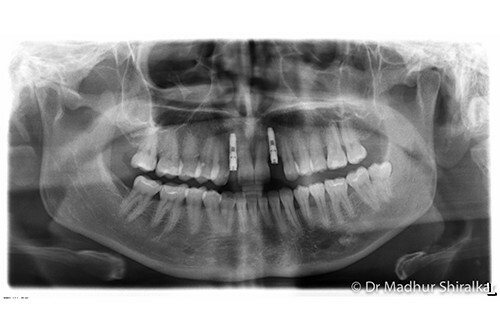 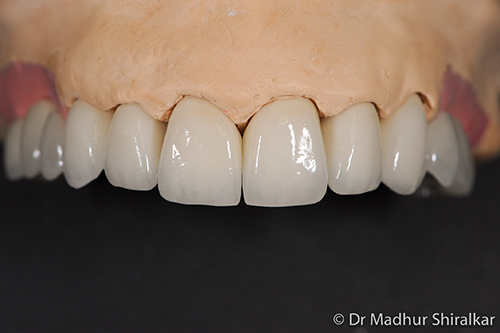 We achieved an excellent result by matching the dental implant bridge to her existing crowns. 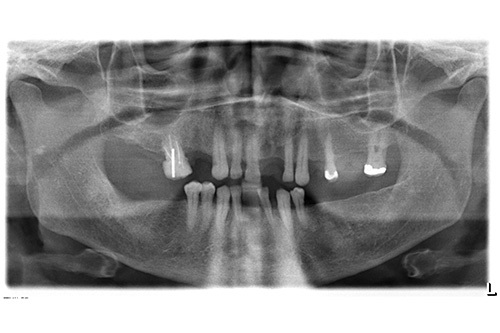 Contact Us today on (03) 9417 6355 for more information or to book in for an assessment with our experienced Melbourne Dentist.